The current study assesses the relationship between presenting symptomatology of the self-labeled Hispanic popular diagnosis of ataques de nervios and the specific co-morbid psychiatric diagnoses. Hispanic subjects seeking treatment at an anxiety disorders clinic (n = 156) were assessed with a specially designed self-report instrument for both traditional ataque de nervios and panic symptoms, and with structured or semi-structured psychiatric interviews for Axis-I disorders. This report focuses on 102 subjects with ataque de nervios who also met criteria for panic disorder, other anxiety disorders, or an affective disorder. Distinct ataque symptom patterns correlated with co-existing panic disorder, affective disorders, or other anxiety disorders. Individuals with both ataque and panic disorder reported the most asphyxia, fear of dying, and increased fear during their ataques. People with ataques who also met criteria for affective disorder reported the most anger, screaming, becoming aggressive, and breaking things during ataques. Ataque positive subjects with other anxiety disorders were less salient for both panic-like and emotional-anger symptoms. The findings suggest that (a) ataque de nervios is a popular label referring to several distinct patterns of loss of emotional control, (b) the type of loss of emotional control is influenced by the associated psychiatric disorder, and (c) ataque symptom patterns may be a useful clinical marker for detecting psychiatric disorders. 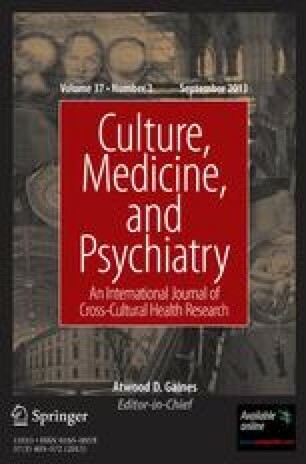 Further study is needed to examine the relationship between ataque de nervios and psychiatric disorders, as well as the relationship to cultural, demographic, environmental, and personality factors.